The General Secretary of All India Congress Committee (AICC) Harish Rawat will arrive for a two day tour of Upper Assam, ahead of panchayat and Lok Sabha election. In a press conference at Rajiv Bhavan here, Dibrugarh district Congress president Etwa Munda on Friday said that former Chief Minister of Uttarakhand and present general Secretary of AICC Harish Rawat is coming on a two day tour of Upper Assam’s Tinsukia and Dibrugarh district on August 28-29. “Under the instruction of AICC president Rahul Gandhi, Harish Rawat is coming to Upper Assam to understand the problems of the people. In his two day visit of upper Assam, he will participate in a one hour interaction programme with the labourers of Tinsukia and Dibrugarh tea estates. He will interact with the tea workers to learn about their problems and issues,” Etwa Munda said. He said that at Chaulkhowa in Dibrugarh a party meeting will be organized for the upcoming panchayat and Lok Sabha election. “Basically, Harish Rawat is the new in-charge for state in Assam and he wants to meet all the party members of Assam on his two day tour. The party meeting is organized for all leaders from Assam Pradesh Congress Comittee(APCC) where everyone will participate to discuss different strategies for the upcoming panchayat and Lok Sabha elections,” Munda added. 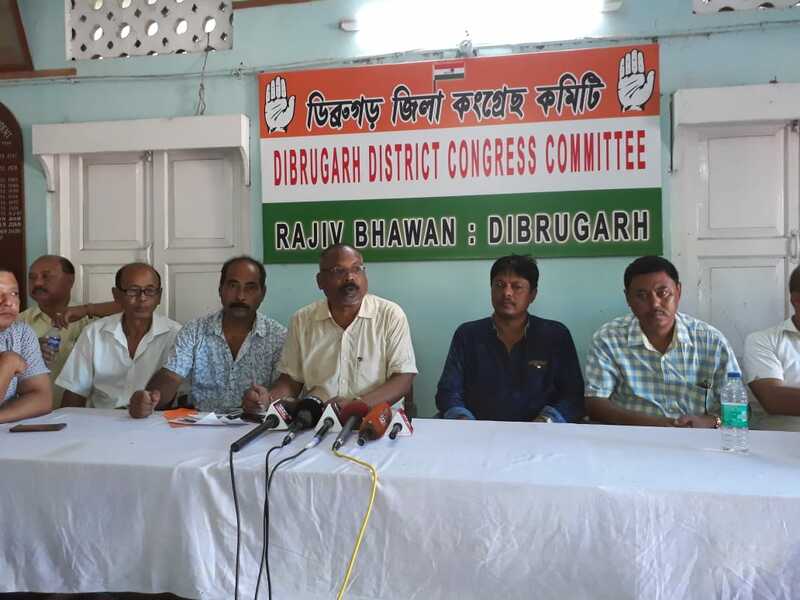 The Dibrugarh district Congress president said they have already started their meeting at the booth level to strengthen the party from grassroot level. “In the upcoming election, we will show good result and topple the BJP ruled NDA government and form government under the leadership of Rahul Gandhi as Prime Minister,” Etwa Munda said. On Friday evening, a block committee meeting was held at Rajiv Bhavan where discussion was held for the visit of Harish Rawat in Upper Assam. It might be mentioned that once Upper Assam was the bastion of Congress and they dominated the area for decades but in 2014, Lok Sabha election, BJP defeated them in their fortress.